There is an interesting trend nowadays where more people are looking ways on how to make their home compound more interesting, healthy and functional. One of the great ways is by growing medicinal plants at your home where this is very helpful if you have kids who accidentally got fever, burn, swollen or bruises. 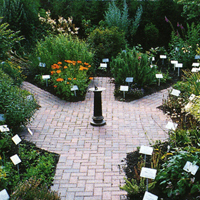 You have a lot of choices to get plants with medicinal values. Let’s see 5 useful medicinal plants that you can grow at your home. If someone in your home suffered from a minor burn, you can use the underside stalk of aloe vera as a soothing balm by rubbing the exposed end on the burn. Aloe vera is also nice for burns, minor cuts, wounds, treating eczema and reducing inflammation. You can also drink aloe vera juice and use it to treat digestive problems, ulcerative colitis, chronic constipation and poor appetite. Aloe vera grows well underneath the sun thus you can plant it at your outdoor garden. Tea tree oil comes from the leaves and twigs of the tea tree plant. It has a nice several uses, as well as the treatment of acne, vaginal infections, athlete’s foot, warts, insect bites, cold sores, minor burns, thrush and chronic fatigue syndrome. Peppermint is one of the world’s oldest medicine which has been used since the traditional times to alleviate whatever it is that is bothering them medically. Peppermint is naturally rich in vitamins A and C, manganese and it helps reduce a range of symptoms together with irritable bowel syndrome, upset stomachs, fevers, flatulence and spastic colon. Echinacea has a big selection of uses together with the treatment of sores, burns, wounds, allergy relief, insect bites, stings and snakebites. Besides that, echinacea also has the ability to help relieve allergies by strengthening immune system. Ginseng helps to balance your cholesterol levels, improve your immune system and stamina, and helps treat lack of appetite and sleep disorders. In fact there is a lot more choices of medicinal plants that you can grow in your home compound – your indoor or outdoor garden. Besides providing medicinal value, they also important in giving extra value to your property in term of functions and appearances. However always remember to consider about the suitability and management of the plants so you can take care of them effectively.